Mining Bitcoins is on all the front pages right now. Apparently, you need roughly $450 to buy one bitcoin today, down substantially from $1,000 earlier this year but still up more than 30 times higher than the price a couple of years ago. What is Bitcoin? Bitcoin is an electronic payment system that was designed in 2009 by a person using the alias Satoshi Nakamoto. It is basically a conduit for two parties to transact via the Internet. 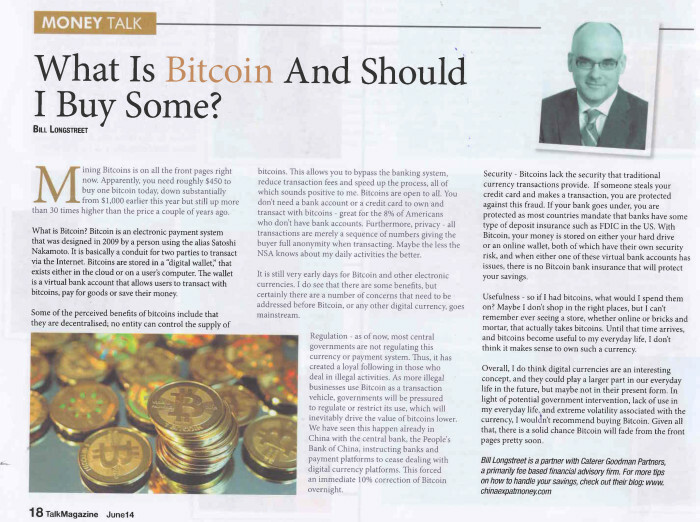 Bitcoins are stored in a “digital wallet,” that exists either in the cloud or on a user’s computer. The wallet is a virtual bank account that allows users to transact with bitcoins, pay for goods or save their money. who don’t have bank accounts. Furthermore, privacy – all transactions are merely a sequence of numbers giving the buyer full anonymity when transacting. Maybe the less the NSA knows about my daily activities the better. It is still very early days for Bitcoin and other electronic currencies. I do see that there are some benefits, but certainly there are a number of concerns that need to be addressed before Bitcoin, or any other digital currency, goes mainstream. to regulate or restrict its use, which will inevitably drive the value of bitcoins lower. We have seen this happen already in China with the central bank, the People’s Bank of China, instructing banks and payment platforms to cease dealing with digital currency platforms. This forced an immediate 10% correction of Bitcoin overnight. 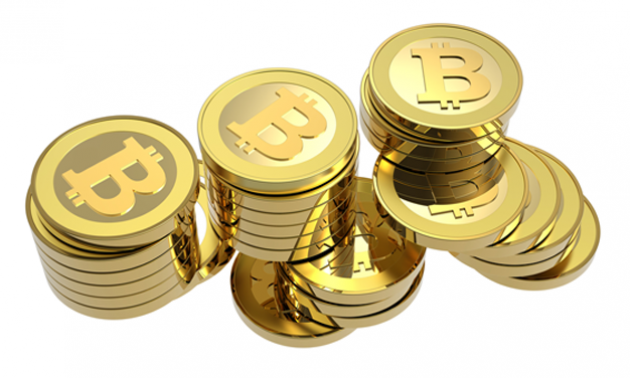 Security – Bitcoins lack the security that traditional currency transactions provide. If someone steals your credit card and makes a transaction, you are protected against this fraud. If your bank goes under, you are protected as most countries mandate that banks have some type of deposit insurance such as FDIC in the US. With Bitcoin, your money is stored on either your hard drive or an online wallet, both of which have their own security risk, and when either one of these virtual bank accounts has issues, there is no Bitcoin bank insurance that will protect your savings. Usefulness – so if I had bitcoins, what would I spend them on? Maybe I don’t shop in the right places, but I can’t remember ever seeing a store, whether online or bricks and mortar, that actually takes bitcoins. Until that time arrives, and bitcoins become useful to my everyday life, I don’t think it makes sense to own such a currency. Overall, I do think digital currencies are an interesting concept, and they could play a larger part in our everyday life in the future, but maybe not in their present form. In light of potential government intervention, lack of use in my everyday life, and extreme volatility associated with the currency, I wouldn’t recommend buying Bitcoin. Given all that, there is a solid chance Bitcoin will fade from the front pages pretty soon.